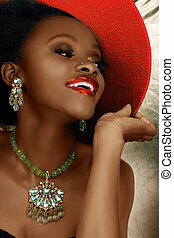 Beautiful african woman. 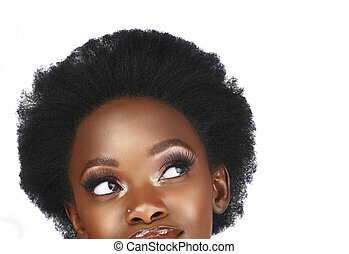 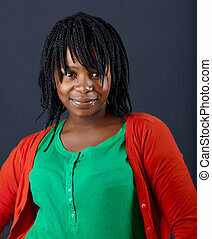 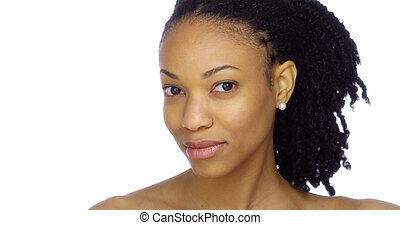 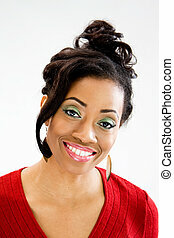 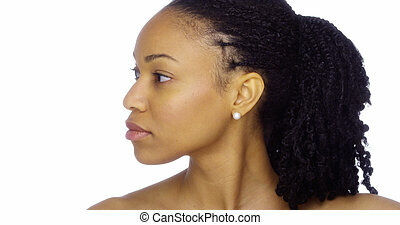 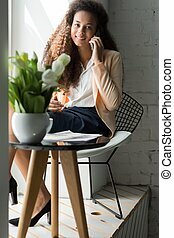 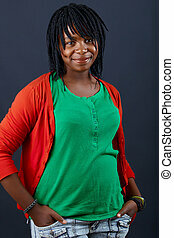 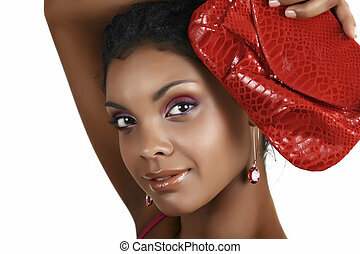 Beautiful african woman with curly hair in a casual bun and pink eyeshadow. 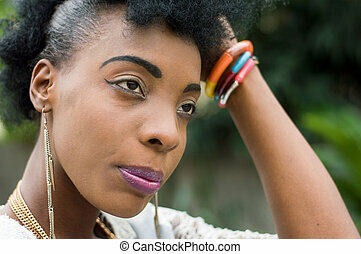 beautiful African woman with curly hair in a casual bun and pink eyeshadow. 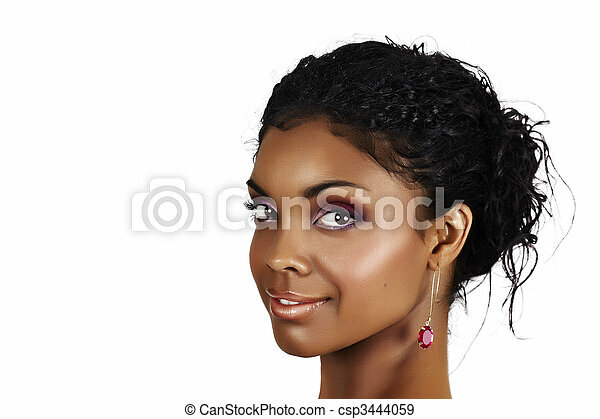 Closeup of beautiful African woman face. 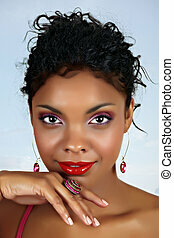 Beautiful African woman with pink eyeshadow and natural make-up. 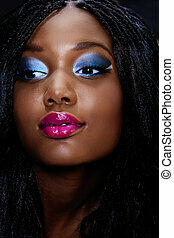 Beautiful African woman wearing purple eyeshadow touching her face with dreaming closed eyes. 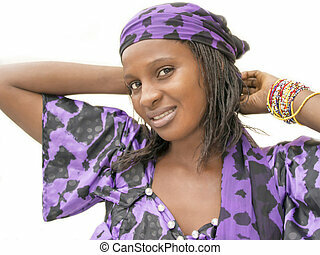 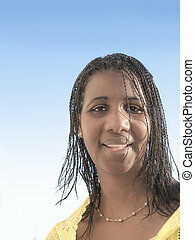 Beautiful African woman with long curly hair in purple halter neck dress and purple make-up. 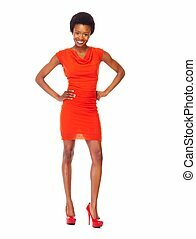 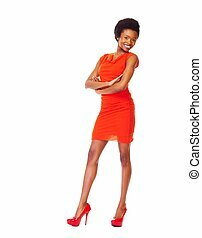 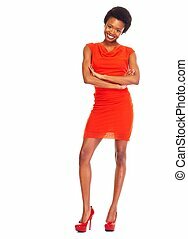 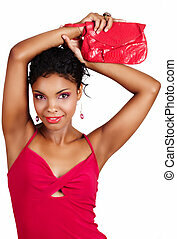 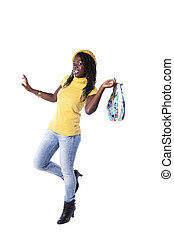 beautiful African woman in pink dress lifting arms with confidence - not isolated. 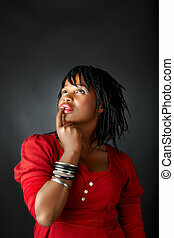 beautiful African woman dreaming with her hands clasped next to lips. 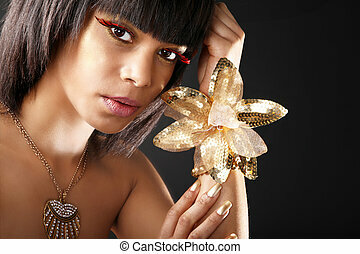 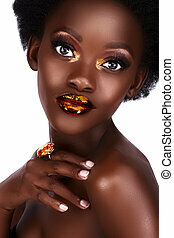 beautiful African woman with artistic make-up and gold lips. 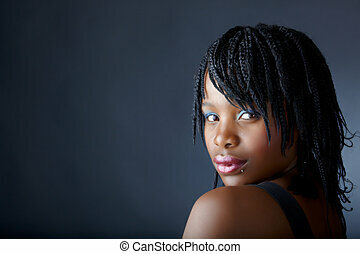 beautiful African woman portrait with bright pink lips and dark artistic eyeshadow with long extensions hairstyle in low key light. 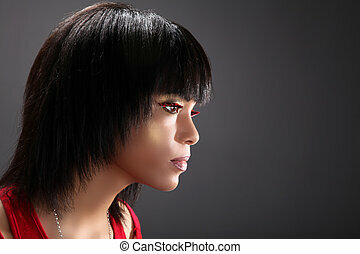 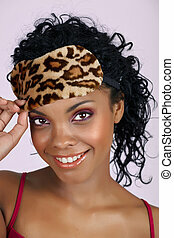 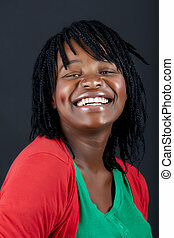 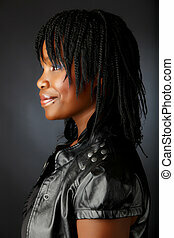 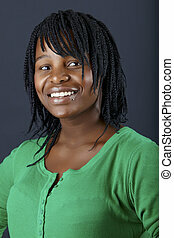 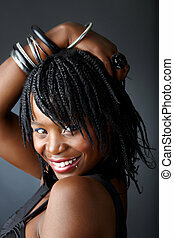 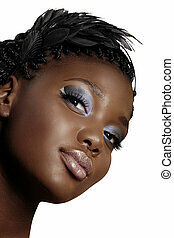 beautiful young African woman portrait wearing feather headband and dark smoky eyeshadow over white background. 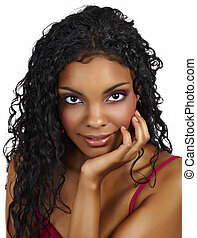 beautiful African American woman with long curly hair isolated on white background, detailed clean skin texture and eye are in focus .